Verizon’s first 4G phone, the HTC Thunderbolt, is going to be getting an update pushed out beginning May 3. This update will be rolled out to users phone beginnings on May 3. 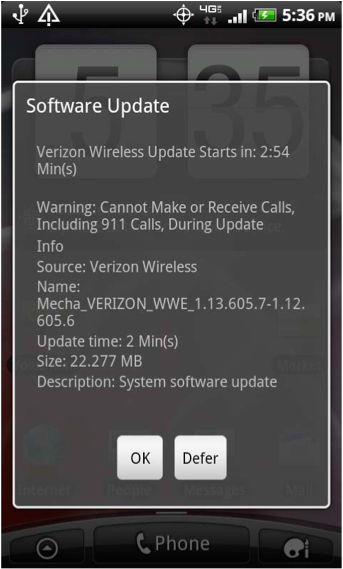 However, users will be able to manually download it from the Verizon site if they won’t want to wait for it to be pushed out. “Backup Assistant” is correctly displayed in the Application menu. Stability improvements for data centric applications such as Facebook, KAYAK, Yahoo! Mail, My Verizon and more. Accurate location is displayed when accessing the Weather Widget. Quickly load GPS updates for Google Maps and VZ Navigator.